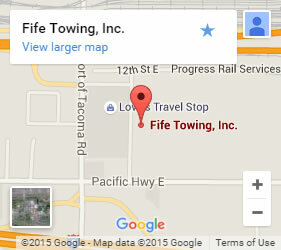 Fife Service & Towing can get your heavy duty vehicle unstuck and moving safely. Our powerful towing service vehicles can help with everything from load shift, to breakdowns, incapacitated agriculture vehicles, container transport, and more. We know your time is valuable. When you need top-notch tractor towing in Federal Way, you need it fast! We get to you quickly, and we come prepared. Our certified tractor towing professionals are well-schooled and experienced in recovering tractor trailers from just about any situation. We work diligently to save your vehicle as well as what your are carrying. Our skilled professionals also have the expertise to problem-solve unique situations. Our 24-hour dispatch is available to ensure the closest tractor towing technician gets to you quickly. We have a large fleet covering the area, so there is always someone nearby. 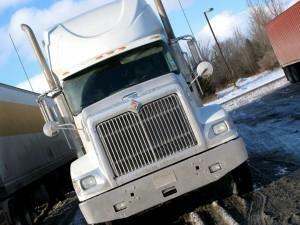 We are able to deliver fuel, offer crane services, and much more to get you moving again. If your vehicle must be towed to a repair shop, we offer secure storage for your freight. Whatever reason you are stuck, our tractor towing has the solutions. Our professional tractor towing technicians are as friendly as they are efficient. We take care of our customers. That is why we have been the preferred towing and roadside assistance company in the Federal Way area since 1949! Contact us today for tractor towing in Federal Way and the surrounding areas.